Ah I have been hearing about Black Clover! 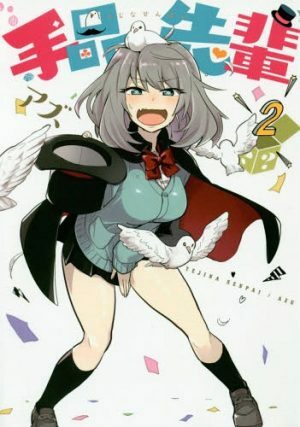 Supposedly Shuueisha is going to be trying to make this into the new Bleach or Naruto and be their big new series. So… this series is going to be like what… Nanatsu no Taizai or Fairy Tail? It could be, but this show is pure shounen through and through. It’s gunna hit all the tropes and be like Boku no Hero Academia. The heroes are orphans raised by the church. This is a page right out of the Ao no Exorcist story. They are magic users right? Oh right! And the seiyuu for Asta is a brand new seiyuu to the industry. Good luck kid. There is a world where magic is everything. 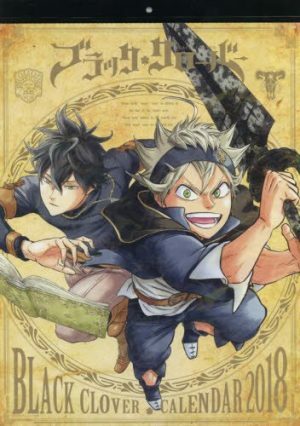 Asta and Yuno were raised by the church, and once they turned 15, they participated in a coming of age ceremony where they were awarded grimores that will raise their innate magic power. There, it is not powerless Asta who is bequeathed a grimore, but rather Yuno, who is given the Four-leaf Clover grimore. 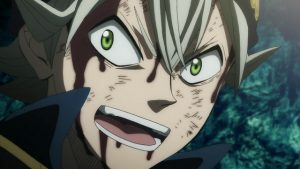 However, Asta, in order to prove his own power, and honor the oath that he made with his childhood friend Yuno, sets out with him in order for them to become the Magic Emperor! Two boys raised by the church. Yuno is adept and magic and is surely set to raise in the ranks of the magic kingdom. Asta on the other hand… well… bless his little heart. Asta is unable to use magic, so he compensates by training vigorously each day. One day they go to a magical ceremony to receive grimores, or sources of magical power. Yuno receives an extremely powerful four-leaf clover grimore much to the shock of those around him who were mocking him up until he received it. Asta gets nothing. Because again, he has no magical powers. When Yuno is attacked though, Asta somehow summons a new grimore to himself. This one has a five-leaf clover on it. Inside it resides a demon that has the power to cancel out magic from other grimores. Now, these two polar opposites set out to become the new Magic Emperor. Basically, this is the new Naruto. Shuueisha has already said that they want to do this, and we already got a filler episode in episode 3! 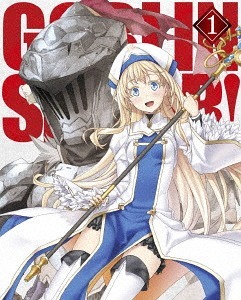 The story is good, it gives off Ao no Exorcist vibes, and overall, everyone is interesting. Except…. 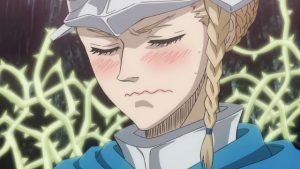 For Asta’s seiyuu. This is the debut for Gakuto Kajiwara, his seiyuu, and wow… it’s bad. In fact, it is so bad and so painful to listen to him, that dropping the series is something that frequently flashes before our minds every episode. Which is terrible because the anime itself is great! 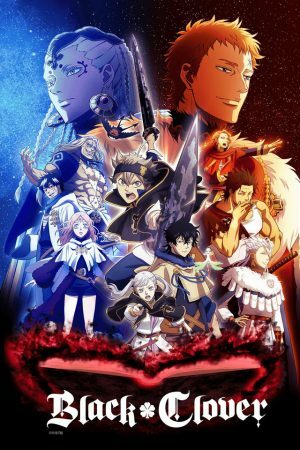 The characters are good, the magic looks to be cool, no one is really detestable, and above all else, you find yourself cheering for Asta to succeed. But that voice needs to be fixed or replaced stat. Either way though, this shounen anime has promise and we hope that it only gets better from here on out! Yami is the leader of the Black Bull squad. He has a tough exterior and a wild temperament, however he is extremely popular and well-liked by the members of the Black Bull Squad. Finral is a spatial magic user, and as such, if he is in a place where he has been before and seen it with his eyes, then he can open and close the space around it. Thanks to this, he is the assistant to the leader of the Black Bull squad, Yami. A smooth-talker, he likes women. He was born the eldest son of a famous family known for its attacking spatial magic. He actually dislikes fighting, and he is bad at attacking and has very poor stamina. 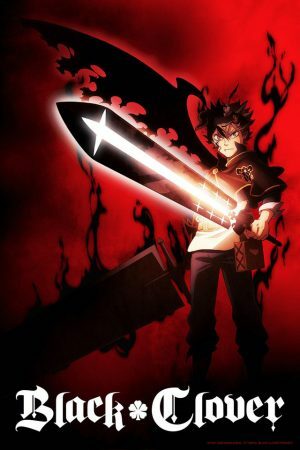 Just like Asta, Magna is not from the capital, but rather, he is from Rayaka Village way out in the countryside. He looks and acts like a delinquent, but as a senpai, he is gentle with the weak and troubled, and he dutifully looks after his kouhai. 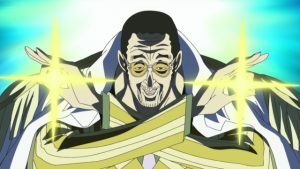 He idolizes Yami, known as a man among men, and refers to himself as “chief underling”. He and fellow Black Bull squad member Luck frequently take jabs at each other making others wonder if they get on well or poorly. Luck is a commoner, but he has extremely powerful magical capabilities and he excels at his ability to perceive things. He loves to battle with powerful individuals more than anything. His one and only family member, his mother, forcibly coerced him and strictly raised him by regularly saying “Keep winning” and “Be strong” to him. This could be why he is a wreck. Gauche is a mega-siscon who says “if it is for my sister, I will give my all.” Regardless of whether or not if it is good or evil, he will do anything for his sister. In possession of a vast amount of magic, he uses a strange form of magic that uses a mirror. He was born into the noble Adlai family, but after both his parents died, both he and his sister Mari, who was but a child, were cast out. To support them, he steals and commits various crimes leading to him being imprisoned. He meets Yami when he is in the process of breaking out. Vanessa loves alcohol and is consistently hung over. She excels at controlling magic and uses magic that uses threads. She has a irresponsible personality, but she actually looks after her allies and kouhai well. She lived in a Sealed Witches Forest, but after meeting Yami, his words moved her heart and going against the ruling witch queen, she left the village and headed out into the outside world.